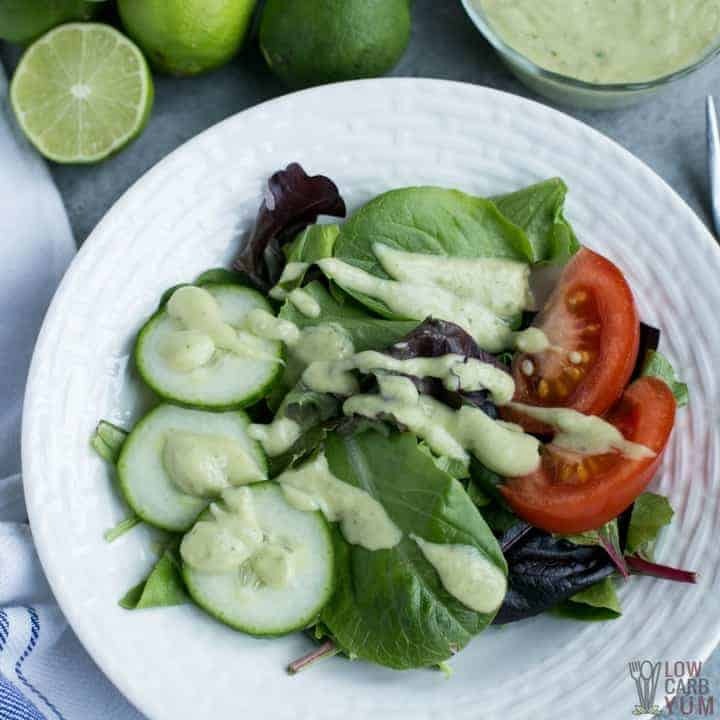 There’s one notable ingredient missing in this dairy free avocado cilantro lime dressing. The reason why there’s no sour cream or yogurt is to make it as Paleo as possible to avoid inflammation. 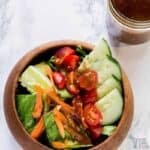 So go ahead and enjoy this delicious salad dressing. Every time you leave your house, you’re at risk of being exposed to things that can cause inflammation. Even inside your home, there might be environmental risks. If you don’t live an all-natural lifestyle–and who does 100% of the time?–and your immune system is even the slightest compromised, your body can have a hard time fending off free radicals. From the gas you fill in your tank to the exhaust you breathe from cars to the harsh chemicals in household products, we’re lucky if we can escape the ravages of inflammation. And that’s why this avocado cilantro lime dressing is dairy free. The answer: death by 1,000 paper cuts. Are you familiar with that expression? Simply put, it means one little paper cut won’t kill you. But if you get a 1,000 of them you just might (especially if you don’t have antibiotics handy). 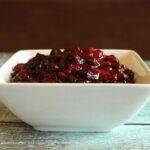 What does the analogy above have to do with this vegan-friendly, gluten-free and Paleo salad dressing? You see, the name of the game in nutrition is to eliminate sources of inflammation as much as possible. And conventional avocado lime dressing contains a significant allergy-inducing ingredient: dairy. 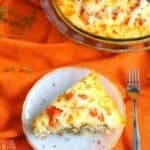 Most recipes for this dressing use either sour cream or Greek yogurt. This report estimates that four percent of Americans have a food allergy. Now, four percent might not sound like much. However, that’s still 15 million people. Moreover, food allergies are on the rise. It’s possible that the true number of people who have at least a sensitivity to dairy is much higher. So in case you’re wondering why I created this dairy free avocado cilantro lime dressing, now you know why. But wait … isn’t Greek yogurt good for you? Doesn’t it contain probiotics? Even if you aren’t in the least bit sensitive to dairy, I think Greek yogurt is mostly marketing hype. As for the probiotics, if you have leaky gut or other digestive imbalances, you’re going to need a lot more than Greek yogurt to correct the internal dysbiosis. Are Avocados Good For Weight Loss? For those new to Paleo or the low-carb lifestyle, the avocado conundrum comes up. Yes, avocados are natural and contain smart fats. But they’re high in calories. Thus, aren’t they bad if you’re trying to lose weight? 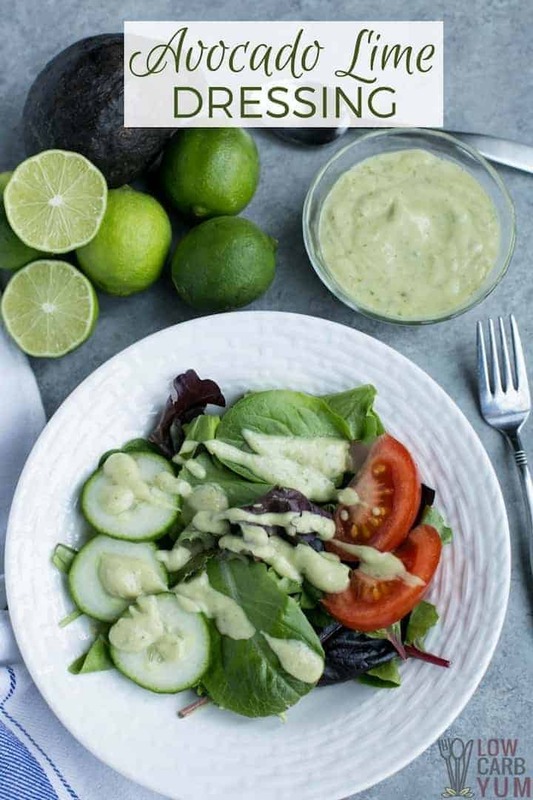 After all, this dairy free avocado cilantro lime dressing calls for one whole avocado. And one medium avocado contains over 300 calories. If you’re eating a whole meal and a salad, aren’t those extra 300 calories going to tip the scales … and not in the direction you want? Well, for starters, you’re not going to eat a whole avocado in one sitting. In fact, my avocado cilantro lime dressing recipe yields 4 servings. Therefore, you’re not eating as many calories as you think. Plus, the fat in the avocado will help you feel full. 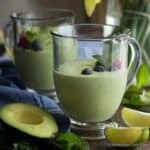 Moreover, the health benefits of avocados make it worth your while to eat them … even if you are trying to lose weight. For example, they are high in fiber. They also have several important vitamins and minerals, including vitamins C and E and the B-complex. And, avocados are high in copper, potassium and vitamin K.
Although it’s counterintuitive that a food that’s high in calories and fat can help with weight loss, it’s totally the case with avocados. And if that’s not enough for you, consider that studies show that eating them is associated with a lower risk of developing heart disease. You also stand to have a lower risk of developing a disease associated with metabolic syndrome; when you make avocados part of your regular diet. 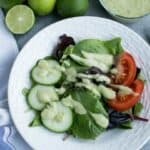 Here’s a few more reasons why you shouldn’t be afraid to eat this dairy free avocado cilantro lime dressing…. Avocados might help reduce inflammation in arthritis sufferers. In addition, it protects your eyesight, may prevent cancer, and normalize cholesterol levels in your blood. 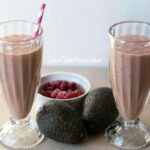 This high fat fruit is also perfect for making a creamy paleo friendly dairy-free smoothie. 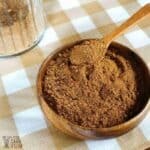 And, it’s also a great ingredient for a high fat green keto smoothie. 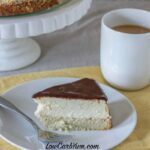 Almond Milk: Make Your Own! 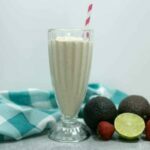 My avocado lime dressing includes almond milk or coconut milk for thickness and consistency. 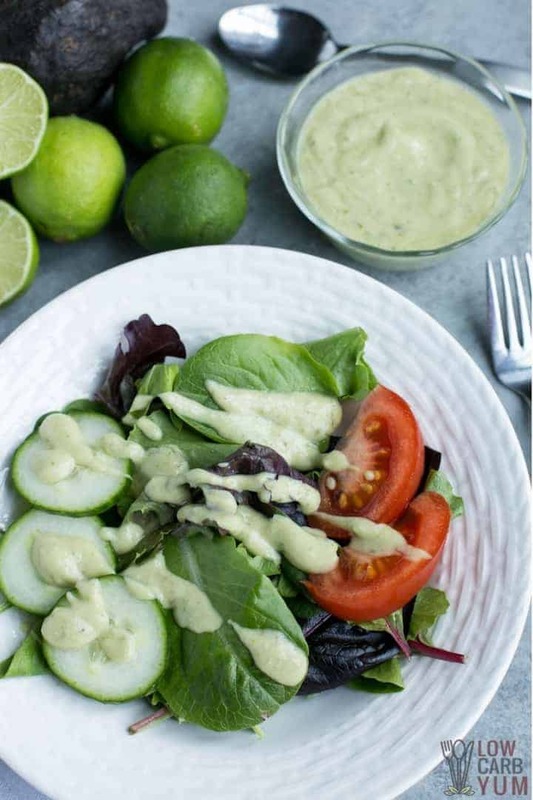 We all love our avocado dressing to be a bit on the creamy side, don’t we? Well, if you’re going to try my recipe with almond milk, I suggest making your own at home. And here’s why. Some commercial almond milks contain as little as two percent almonds. That’s a paltry amount. In fact, there was a lawsuit against one popular brand of almond milk. Read about it here; Two percent! That’s like maybe a handful of almonds in a whole bottle. You see why I’m suggesting you make your own? It’s easy to do. Simply soak some almonds in water overnight. 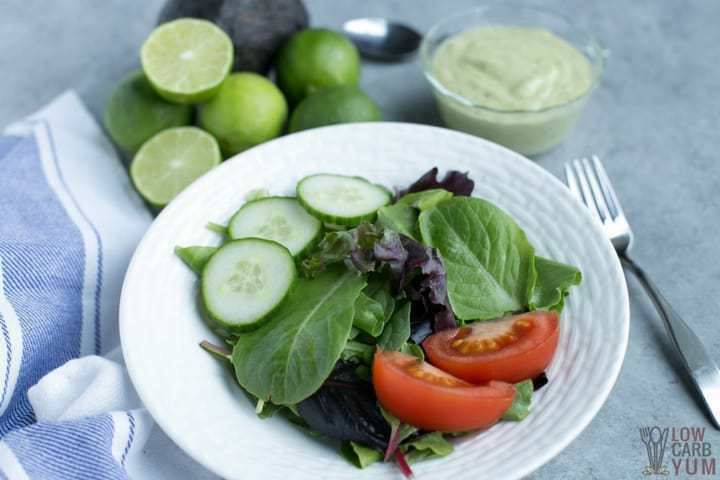 Use a pinch of sea salt (just like I do in this dairy free avocado cilantro lime dressing). Let the almonds sit overnight and then in the morning boil them for 5 minutes in a couple cups of water to remove the skins. Next, add the almonds and two cups water to a blender and blend for a few minutes. By this point, the almonds should look mealy. If you have a mesh sieve, you can drain the almonds to remove the particles. 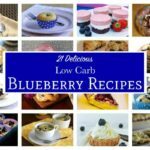 You can add zero-carb sweetener to it like stevia extract. Just make sure you save enough for this salad dressing. Enjoy! 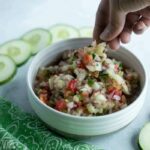 The reason why there's no sour cream or yogurt in this dressing is to make it as Paleo as possible to avoid inflammation. So go ahead and add some healthy fat to your salad.. 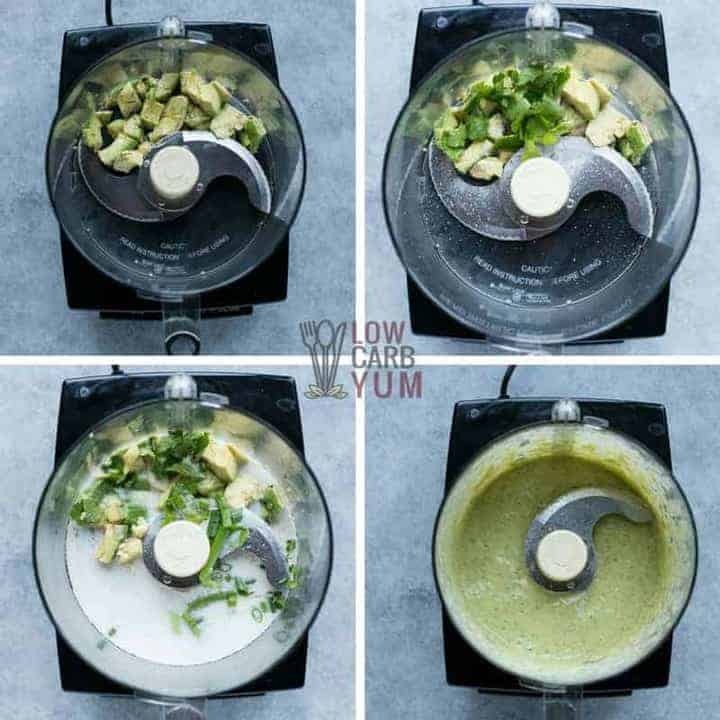 In food processor or blender, mix all ingredients until smooth. Drizzle over salad and enjoy!